You might be wondering who we are, what we do, and just what is SMTP and API-based email? While we were built for developers to implement easily, marketers use us everyday to send out their communications. We’re like the superhero that saves the world every day but rarely gets the credit. ? Basically, Pepipost connects to other technologies and delivers email. We focus on delivery—right to the inbox. We go with the philosophy of doing one thing and doing it well. What does it mean to send email through API’s? We will start with what API means, which is an Application Programming Interface. It’s a data connection between two platforms, where data can run both ways between them. 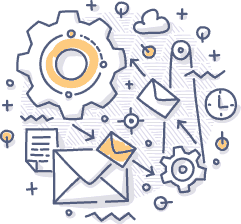 We can connect through API to your campaign management platform, certain email service providers or marketing automation platforms. Really, any platform that doesn’t send email and needs a tool to do that. SMTP stands for Simple Mail Transfer Protocol, and it’s been around since 1982. SMTP is used by email clients (interfaces) like Outlook or Gmail to send personal or business email. Some companies use it to send email to their customers. It uses commands to send messages, through a series of processes, and delivers the email. We are an email delivery service. Pepipost sends out emails on your behalf, and focuses on getting those emails into your customer’s inbox. 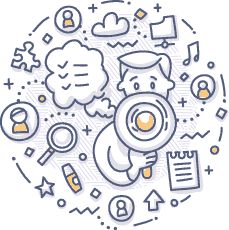 Our platform connects to your campaign management platform, your CRM system, or even your marketing automation platform. We send transactional email and marketing emails. But you won’t be doing things like selecting audiences or building campaigns inside of Pepipost. In fact, many people rarely need to go back into the Pepipost platform once it is setup. Email service providers and marketing automation providers often provide you with capabilities inside their software. They may include campaign management, email creative builders or a long list of other capabilities. It may seen confusing, but email has been evolving quite a bit over recent years. The combinations of technology that can send email are changing too. There isn’t just one way to create, manage and send email. Technology investments can be steep. This means you may still have that one piece of technology that everyone loves (or loves to hate), and you just can’t seem to get away from it. Many companies are in the same boat, so they create a customized environment. Now let’s find out more about the types of email we send.